With 78 days to go until Britain is due to leave the EU, Victoria looks at what happens if we leave without a deal at all. 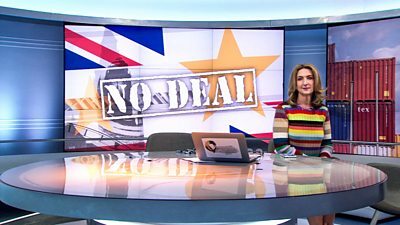 What will a no-deal Brexit mean for the economy, for immigration, for our services, for travelling abroad? And is it what the country voted for? Victoria speaks to people from around the country - do they actively want a no-deal Brexit, or are they dreading the possibility?